Shout out to Tech Download Plus by AOL.on and presented by Delta for this great video featuring the Handibot Smart Power Tool. 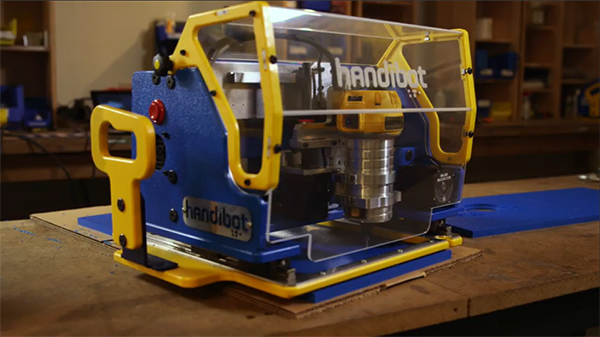 Amber Mac explores the DIY tools of tomorrow from Handibot and Bondic. Hey, I didn’t see this type of tool before. Handibot’s computerized made it extraordinary. Could you please tell me what is the price range and how many models of handibot are available in the maret? Jonathon, A new model of handibot will be available within the next week or so. It will retail for $2895. Check out the handibot store for more details as the release is rolled out!